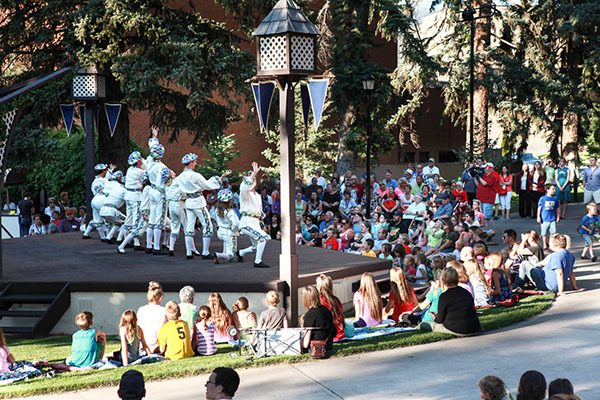 Summer nights in Cedar City are filled with singing, dancing, puppet shows, and tarts through the Utah Shakespeare Festival’s Greenshow at Southern Utah University. 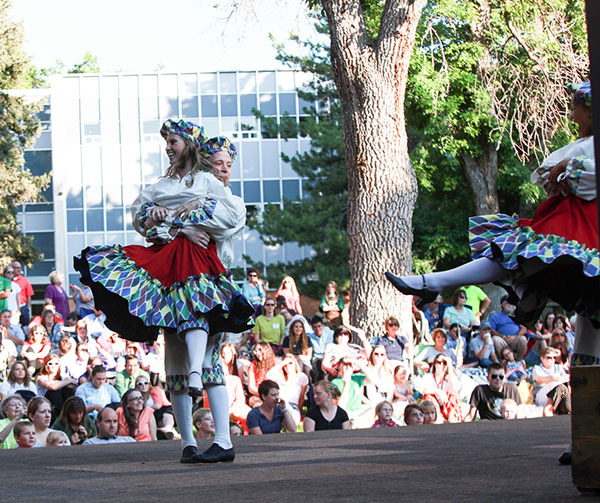 Nightly performances showcasing the culture of England, Ireland and Italy, has SUU students and alumni singing and dancing in a free show Tuesday through Saturday nights, free and open to all ages on the lawns next to the Adams Memorial Theatre. 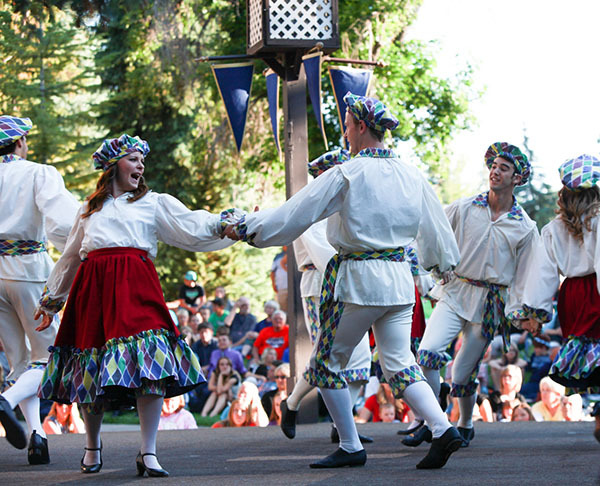 The players of Utah Shakespeare Festival’s Greenshow pose at the end of their musical number as the packed crowd watches in awe at Italian Night. 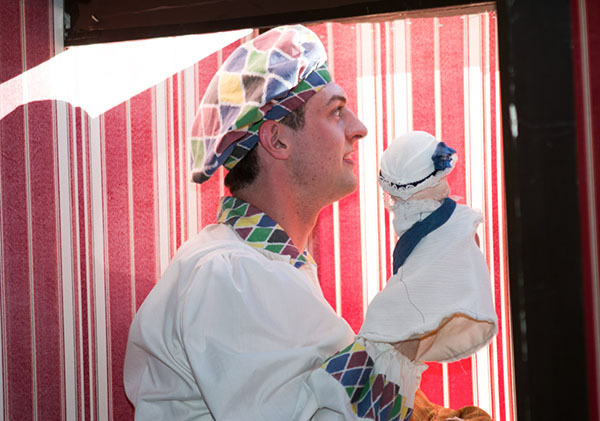 Luke Johnson, senior musical theatre majors from West Valley, Utah, performs a puppet show for the young children in attendance. Samantha Allred, a senior musical theatre major from Spanish Fork, Utah, circles the stage as she dances with her co-star. SUU alumna Sceri Ivers is twirled around by her partner Tyler Sparacio during a dance number. 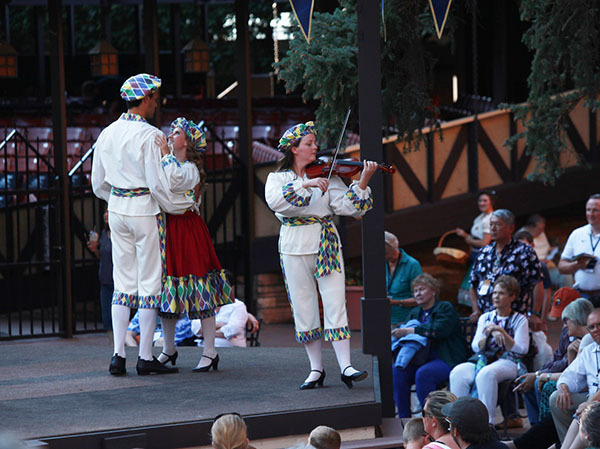 Violinist Hilary Stavros begins to play for the crowd as the actors prepare for their next dance. 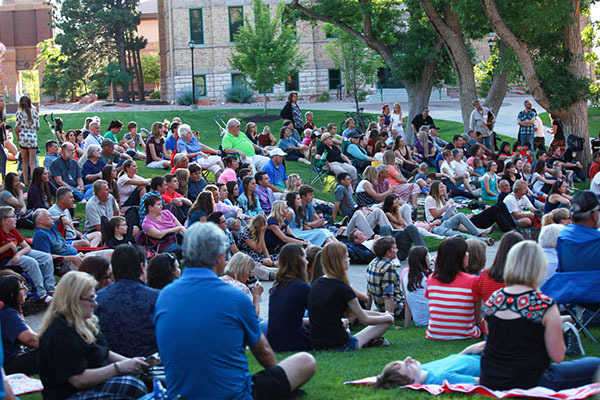 A full crowd enjoys the entertainment from the performers of The Greenshow.